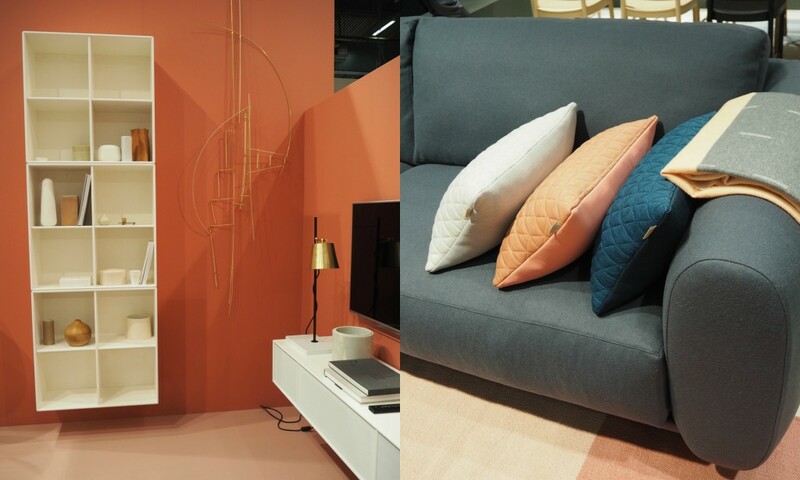 Stockholmsmässan’s 70,000 square meters were full to bursting point with the latest product launches within interior design and lighting for both homes and public spaces at Stockholm Furniture Fair and Northern Light Fair. 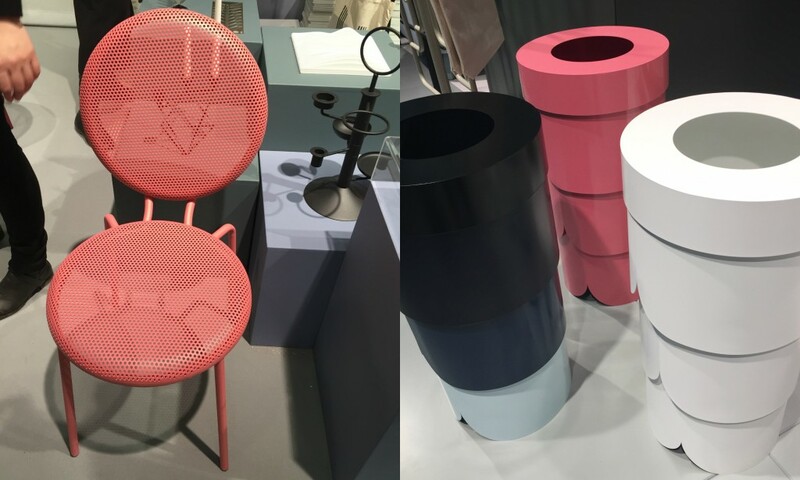 Over 700 exhibitors from 32 countries, although the vast majority were Scandinavian, attended the 65th edition of this influential design show. 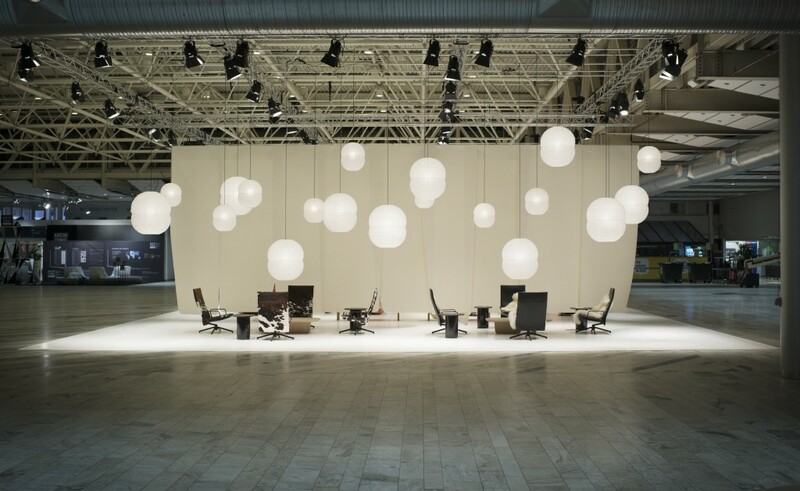 This year’s Guests of Honour were design duo Edward Barber and Jay Osgerby who were asked to create a lounge in the entrance hall during the fair. Previous Guests of Honour have included highly respected international designers or design groups such as Patricia Urquiola, Oki Sato, Inga Sempé, Paul Smith and Arik Levy. Barber and Osgerby created a space that transcended meeting space, breakout workspace, somewhere to relax and socialize. It was a perfect resting spot between the halls. 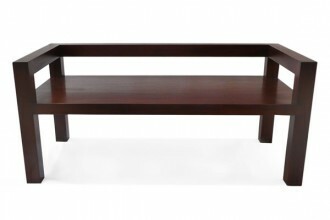 The Scandinavian design aesthetic has a long heritage with wood, simple forms and pale colors. 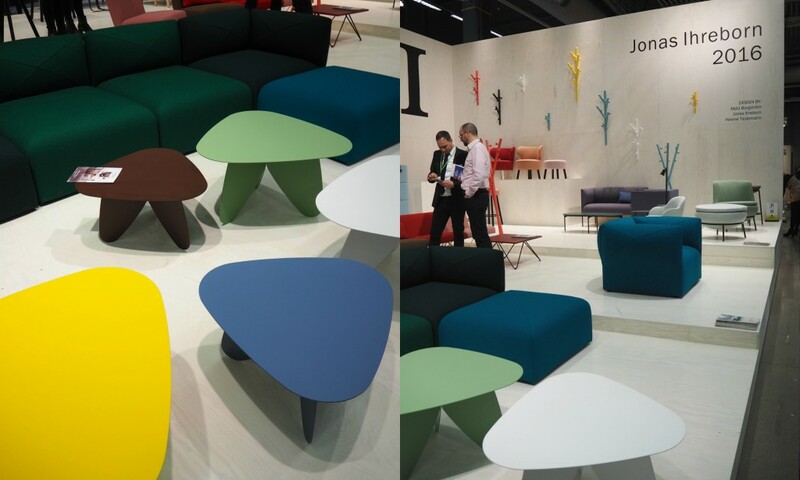 This still holds true for many of the big brands from the region but at this year’s exhibition there was plenty of carefully considered color. 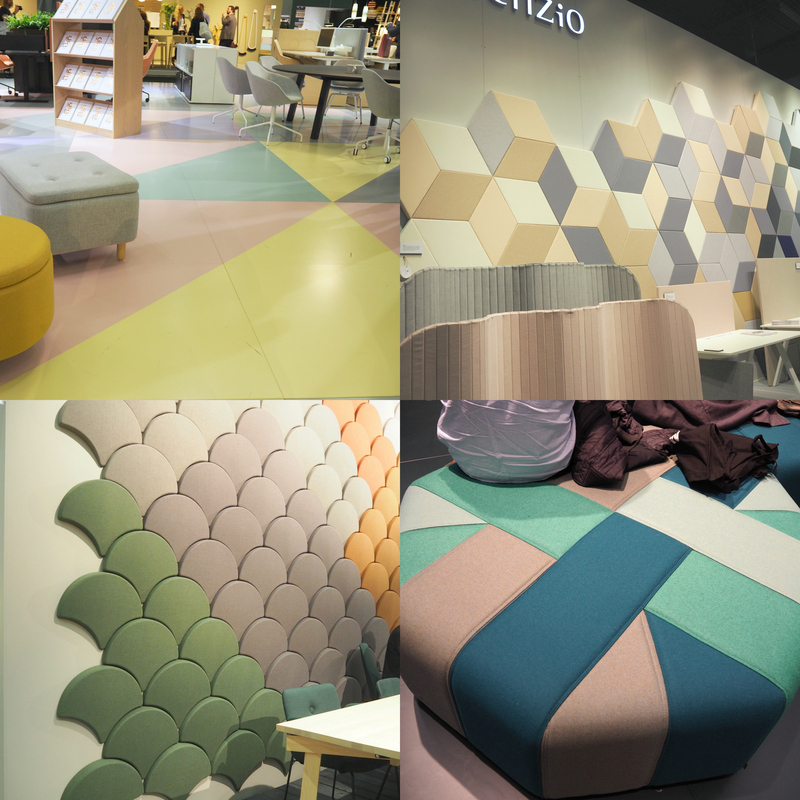 Wood as you would expect, dominated many product categories but in the new launches it was also mixed with metal, marble and plenty of acoustic softening fabrics. There was a genuine sustainability story to many items from upcycled flooring production remnants to reducing packaging and wastage. 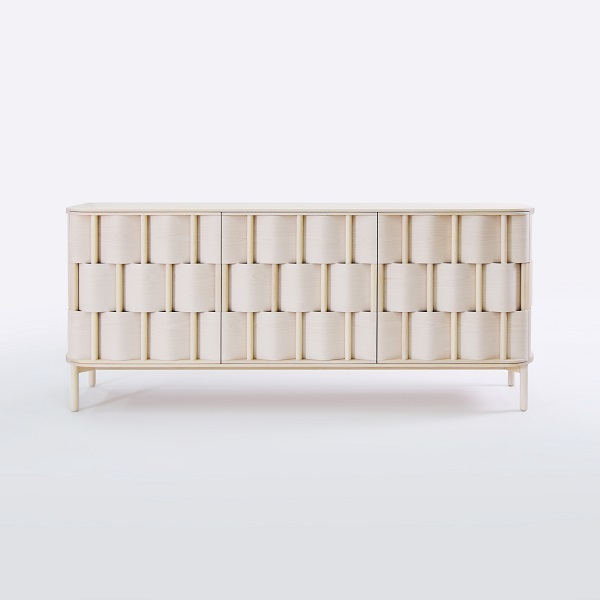 The above cabinet is by new Swedish company Ringvide based on the island of Gotland. 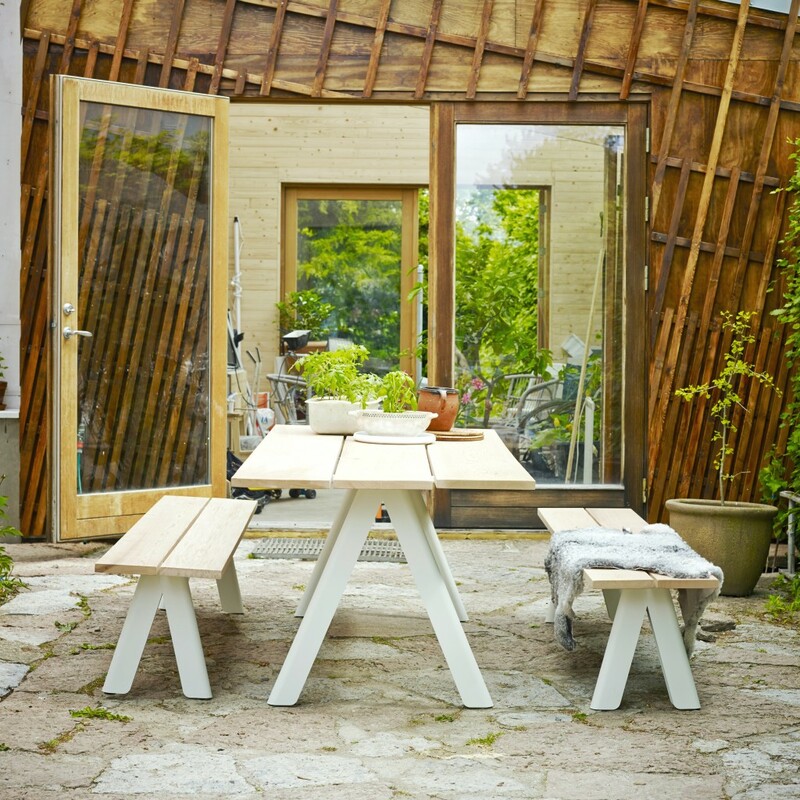 Ringvide designs and produces furniture by husband and wife team Lukas Dahlén together with his wife Leila. 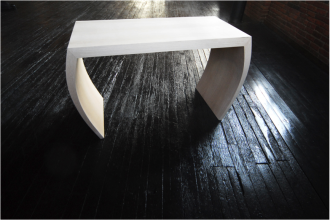 They use materials that age beautifully with the hope that their products will live for generations. 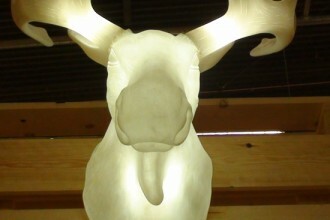 The fairs annual Greenhouse space is dedicated to emerging talent. Both young designers and design schools have the opportunity to present their work and allows this critical talent pool the opportunity to show their work to a wider audience and make crucial contacts. 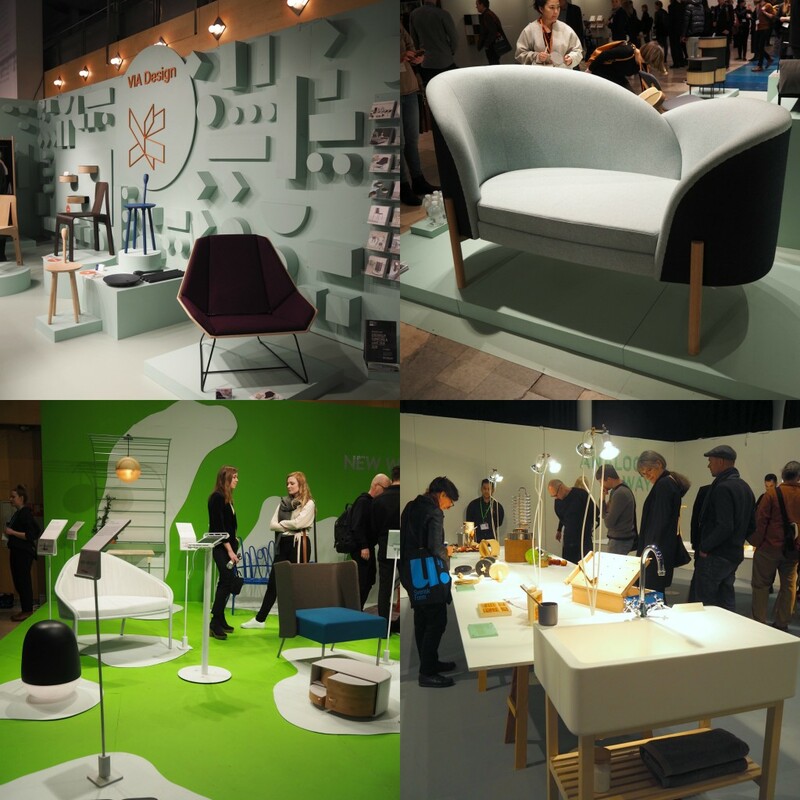 At the Stockholm Furniture Fair this isn’t some token gesture, there were 60+ participants in this years platform. I was enthralled by some of the work on show. Color across the spectrum was represented at the fair however there was an emphasis on pink, blue and green spectrum, although not necessarily in the pastel tones. Orange and salmon hues were starting to appear as accents. This was particularly prevalent at Wobedo, Montana, bla Station and Fogia. 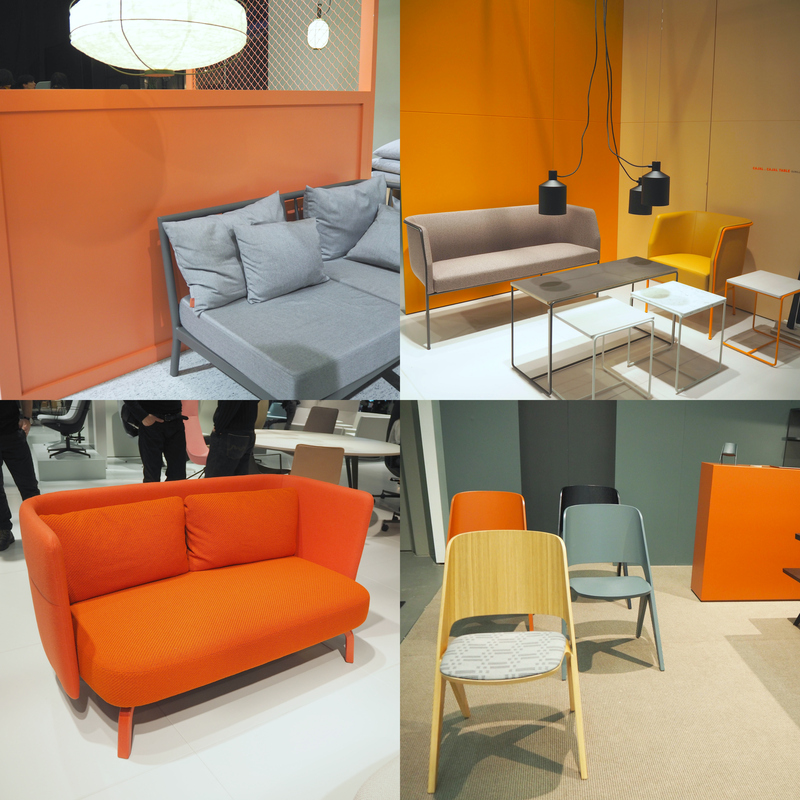 Even though many of the brands exhibiting participate in several of the worlds leading furniture fairs, many of the Scandinavian brands still launch new products and color ways at the Stockholm Furniture Fair even though it isn’t the first fair in the 2016 design calendar. 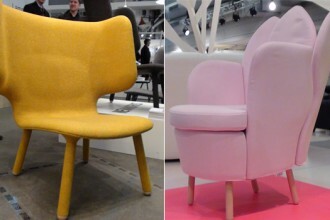 Below are 7 of my favourite finds from Stockholm Furniture Fair and Northern Light. 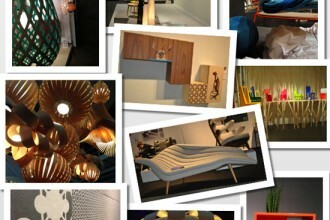 Asplund is one of Sweden’s leading design and interior firms celebrating its 25th year. 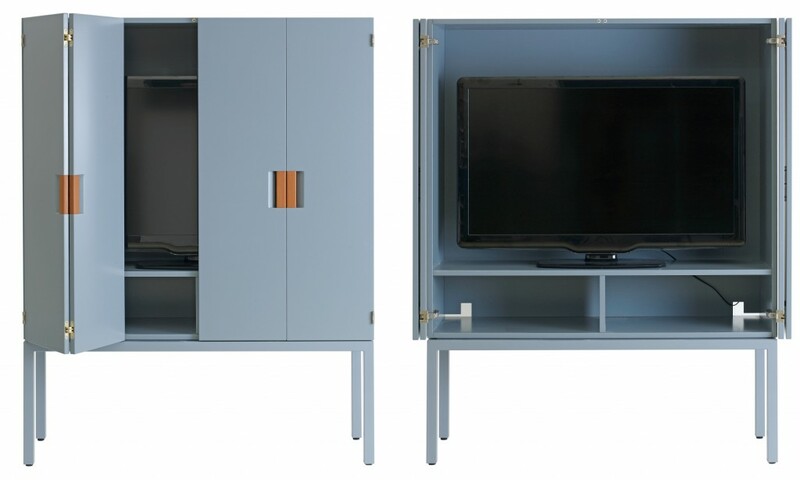 The Frame collection represents simplicity and elegant design and this new addition to the series is a beautiful way to hide your TV, it even features hidden “channels” to hide your cables from view. Available in this on-trend blue color. 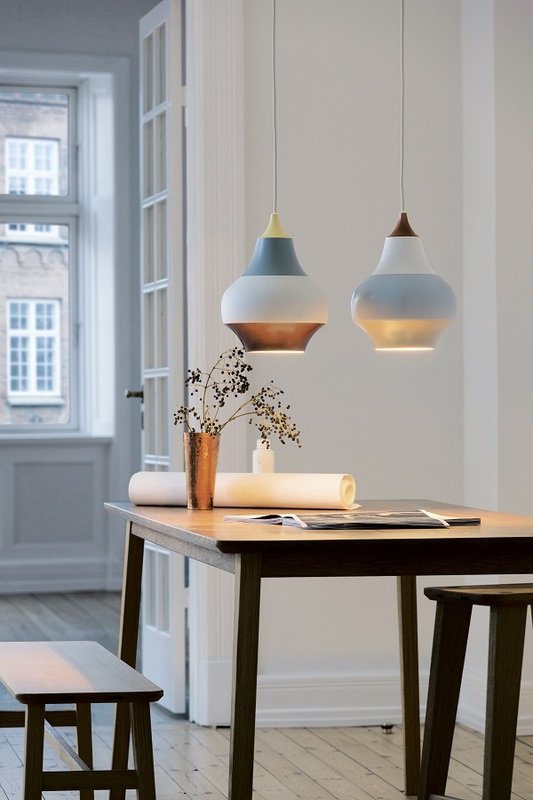 Louis Poulsen collaborated with the Swedish designer and graphic artist Clara von Zweigbergk to create a new series of lamps in striking aluminum called Cirque. The range includes 3 color combinations in three sizes and I love the color pairing. 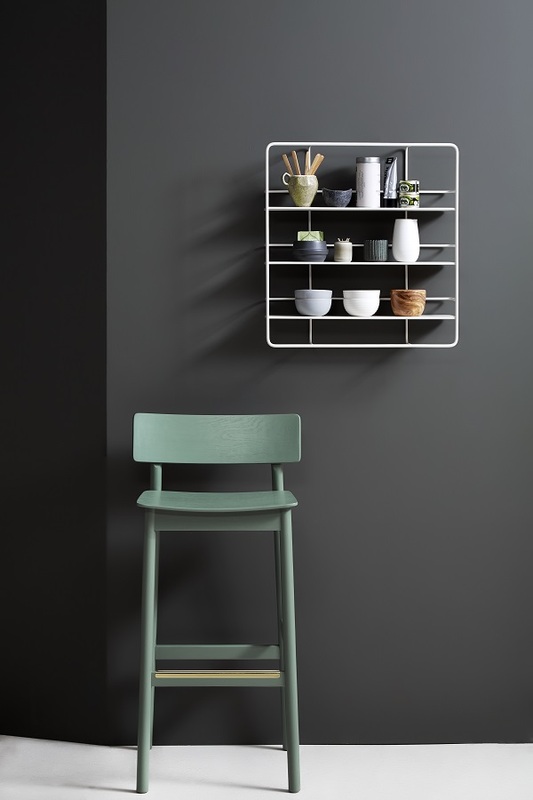 Danish design firm Woud debuted a number of new products including the Pause bar stool by Kasper Nyman. In classic Scandinavian style the design is kept to its bare minimum. 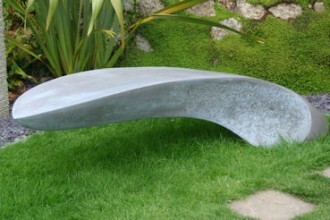 The simple solid brass footrest is visual simplicity perfected and it comes in a fantastic mossy green hue. The temperature outside may have been close to freezing but one of my favourite products had me looking forward to warmer times, the overlap table and bench from Skagerak. It’s made of Western Red Cedar and powder-coated steel, a fusion with rustic and contemporary appeal and I could definitely see this working just as well indoors. 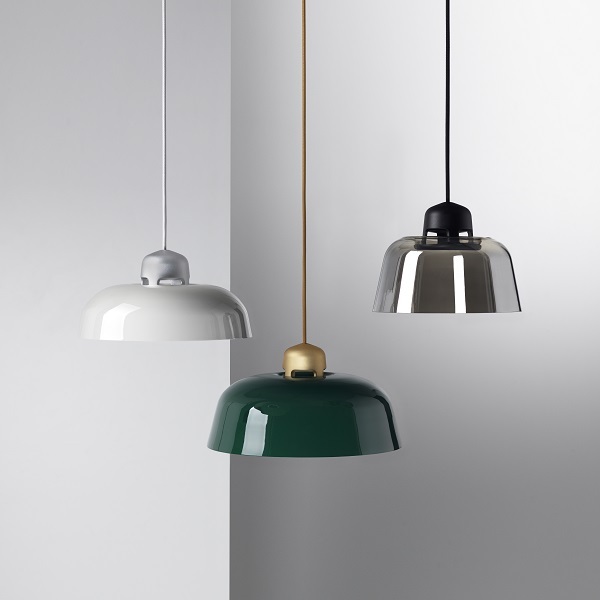 Wästberg introduced the w162 Dalston pendant lamp developed in collabo­ration with Sam Hecht & Kim Colin of London design studio In­dustrial Facility. The design was influenced by the lamps commonly found in workshops and warehouses, however the large variety of possible combinations of sizes, colors and shade shapes has lots of practical applications in commercial settings. 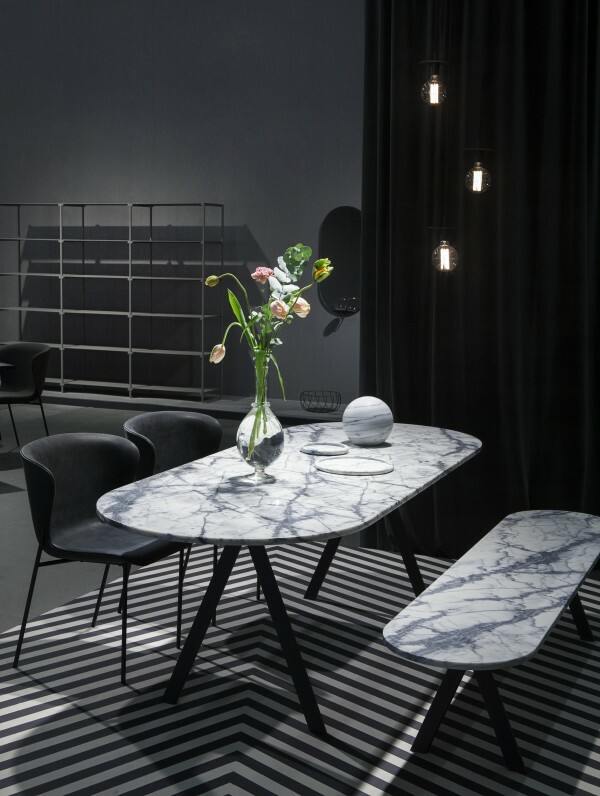 Friends and Founders released new editions to their popular Saw family of products; the Saw table and Saw bench in a carefully selected European marble with a soft satin finish. It’s almost warm to the touch and the oval shape is so very appealing. 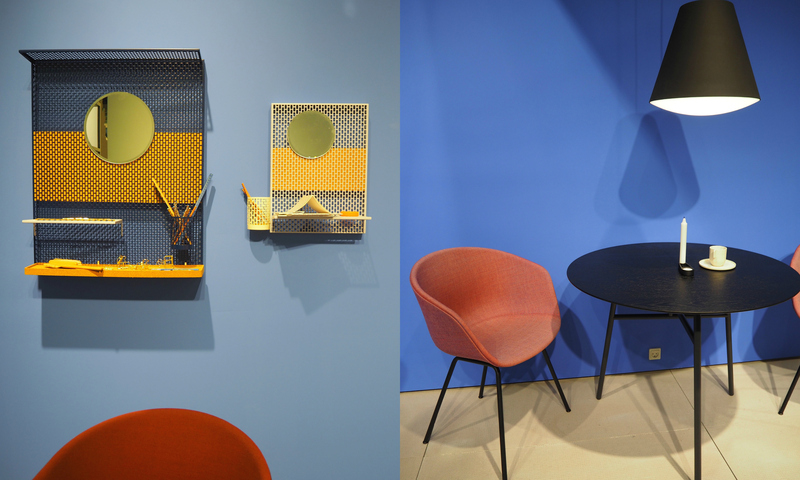 Le Klint launched their new Carronade series by Swedish designer Markus Johansson at the Northern Light Fair. 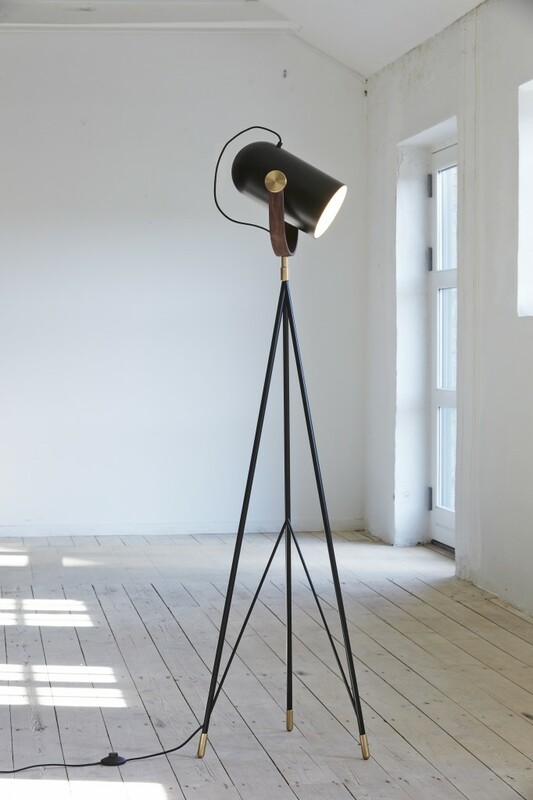 The new series is produced in American walnut with brass details and matt black lacquer and my heart just about stopped when I saw the beauty that is the high floor lamp. I found so many items that I enjoyed at the exhibition, proving that it definitely worth visiting. 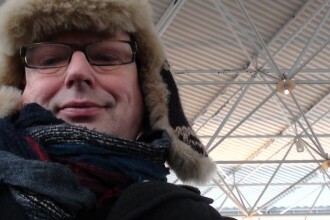 It is uncompromisingly Scandinavian and for that I love it. Photo credits: Entrance photo from Edward Barber and Jay Osgerby Studio, Asplund Frame cabinet from their press team, Cirque pendant image from Louis Poulsen, Overlap table and bench image provided by Skagerak, w162 Dalston pendant lamp image provided by Wästberg, Saw Table image by Friends and Founders and Ringvide Weave cabinet image by Lukas Dahlén.